Bye, 2018! Another year’s over, and if you’re like us, you’re busy reviewing last year’s progress while keeping a keen eye on what’s to come in the new year. Now is the right time to start planning your marketing strategy for 2019. We reached out to a few folks across Graphcom to find out what marketing trends they see coming in 2019. Here’s what they said. “Nonprofit organizations often spend their time researching giving trends among Baby Boomers, Gen X, and Millennials. While it’s important to focus on these audiences, don’t discount the value of the upcoming age group of Gen Z, who are now entering college and the workforce. The Gen Z group is easily overlooked; however, they currently make up 27% of the population and show increasing signs of the affinity to give to, or to be involved in, a nonprofit organization. These numbers are expected to continue to rise over the next few years. Most notably, Gen Z will be the first mobile-only generation. 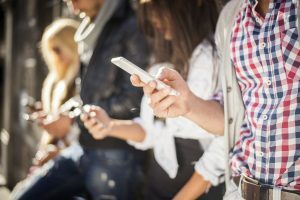 While Millennials have increased their average use of mobile devices, Gen Z prefer to conduct all activity through their phone, so be sure to pay special attention to your mobile outreach strategies. Speak to this audience in a simple, concise manner, in an easily digestible format such as infographics and videography. “When was the last time you surveyed your target audience to gauge and understand their level of satisfaction with your organization? Do you truly know if your audience is receiving your message as you intended? Did they have a delightful user experience the last time your organization had a touchpoint with them? What do they think you can do better? These examples and many other questions like these are key to improving your customers’ user experience with your organization. Strategically developing and implementing a successful survey program can be a valuable tool in your marketing toolkit. The beginning of a new year is the perfect time to consider implementing a survey program at your organization. “Connecting disparate systems has become easier than ever, though there’s still a need for manual operations. 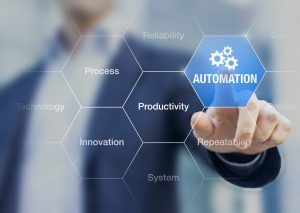 With organizations realizing the value in automating simple, mindless tasks, we’ll see a bigger push for automation and fewer manually-run processes. 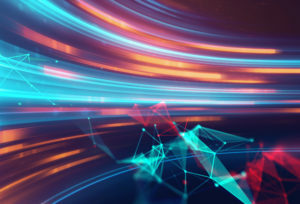 Aside from being able to focus more on consumers, businesses will also be able to leverage the measurability that comes with increased automation and plan more strategically. “This year, we’ll help our clients learn to rely more on what data tells them (us) and less on ‘this is how we’ve always done it before.’ We’ve seen success when clients let us learn from the data that we mine from a campaign. “Recently, we’ve seen lots of revamping of office spaces, applied wall graphics, and interior signage consisting of printed vinyl, acrylic, and routed dimensional pieces. This signage has often reinforced company marketing directives, branding, or core values. Think signage items that can be used on tours to explain the company’s work to visiting clients, boost morale by adding more interesting elements to otherwise empty areas, or unify employee goals/mindsets through inspirational messaging. I’ve noticed a large amount of Main IDs being created using real stone masonry or faux stone—both production methods to incorporate a natural look for large housing properties/communities. These seem to fit well as the stone provides a sense of strength and community with the large natural shapes of different sizes and shapes coming together to hold up and frame the sign containing the name of the community. We’ve worked with a number of properties to redo old or damaged exterior signage on properties. 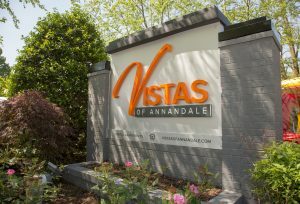 This includes revamping signage systems to fit new branding goals of the property, to keep important messaging visible for community safety, to enforce HOA policy, or to improve the aesthetics for those living in the area. “One thing that jumps out to me is mail list management. Traditionally, you would run a mail list through the National Change of Address database and maybe one other set of criteria to scrub a list, but it seems clients are asking for more in-depth work to their list as they realize the postage savings when working with a good database. 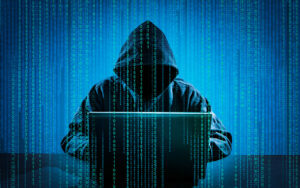 “Whether a big enterprise or a small mom-and-pop shop, all businesses are vulnerable and proactively sought after as an attack target, whether it’s by a terrorist group, criminal network, or an independent hacker. From PHI to SSN or intellectual property, every brand is trusted with information that translates to monetary value. This data can then be sold or used for strategic espionage and data collection. Organizations and cybersecurity professionals should constantly be examining their networks and looking for ways to improve their security controls. A big misconception is that once a standard is reached (e.g. SOC, SOX, PCI), there’s no need to continue to improve because the standard has been met. These standards are in place as a baseline and should be continually improved upon. The bad guys are always improving their attack strategy so cybersecurity professionals should be constantly improving their security controls. Want to learn how you can stay ahead of these trends and apply them to your marketing operations in 2019? Contact us today!